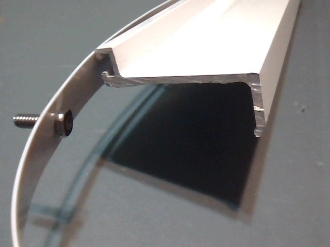 Prevents metal to metal contact and wear. Muffles sound and Stops the Rattling. 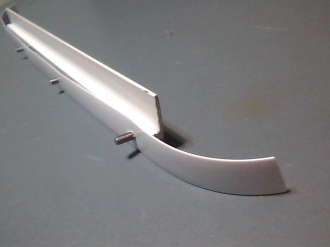 Can also be used for Anchor or Stud Systems Without a Track, to prevent panel edges from scraping and scratching the Stucco or painted finish of your house. 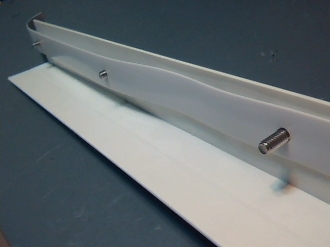 Universal, it can be used for Flat or Ribbed storm panels, and/or studded tracks or studless F-tracks with or without any Build Out Angles. Can also be used for 12″ hole spacing. See Pics. 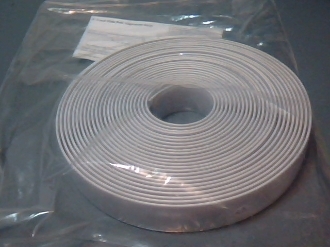 25′ Roll x 1″ wide x 1/16″ thick, White Only. Cut it to size with your razor knife or industrial scissors. 25 feet is enough to do seven 3 foot windows, or 2 small Storefront Display windows. 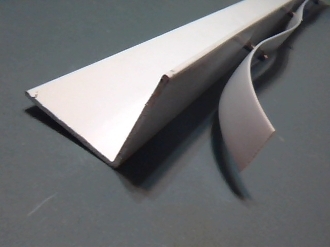 This strap can be used on homes, businesses, sheds, or anywhere you have removable panels. 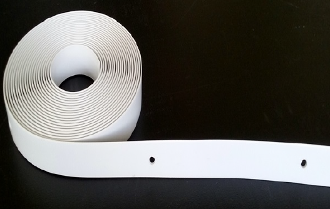 This Storm Panel Strap also comes pre drilled in 2 other sizes, 6.25″ and 6.5″ bolt spacing, contact us if you need these sizes,… 6″ is the most popular size but please check your measurements to be sure!